Our director, Sue Daniel, is famous for her inventive costumes. Legend has it that one year she painted her truck’s tire black only to stamp herself with its tread, dress in yellow and call herself a speed bump! I’ve also been told that for several years she would challenge herself to create costumes using only white adhesive tape (think zebra). Recently, when I asked Sue why she started the Costume Parade tradition so many years ago she told me quite simply that “children love dressing up.” If Sue’s inventive costumes are evidence of anything, it’s of the contagious nature of a child’s enthusiasm. 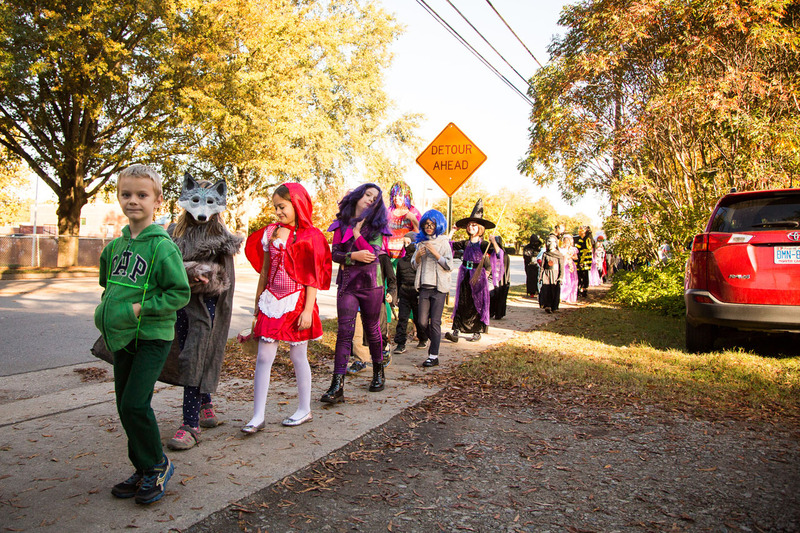 Our annual Costume Parade takes place at 9:15 a.m. Parking can get tricky; plan to arrive early so you can snag a good vantage point. Students should come to school already in their costumes. Please send in a change of clothes for after the parade (unless they are already wearing them under their costume). Students will gather on the large playground and then begin the parade by coming through the gate nearest the Toddler House. Our parents usually gather in the parking lot to observe the parade and to take pictures. 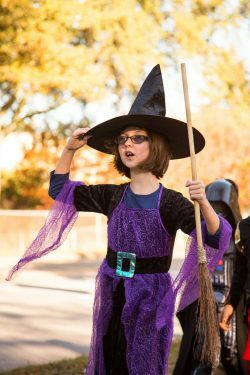 After the parade, students will change out of their costumes and into their regular clothing. Super heroes, delightful witches, not-too spooky please! Students dress-up, teachers join-in, parading one by one. Label costumes, change of clothing, school when we are done!